A clear star glued atop a beautiful black base. This award has plenty of space for engraving and is a perfect fit for a multitude of events. A clear star glued atop a beautiful clear base. 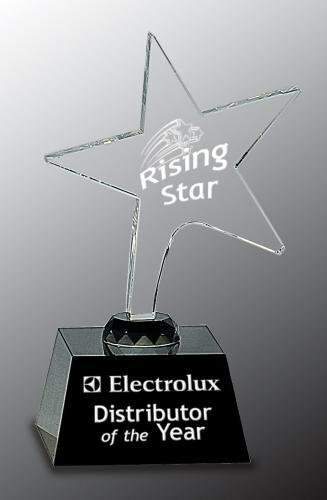 This award has plenty of space for engraving and is a perfect fit for a multitude of events.